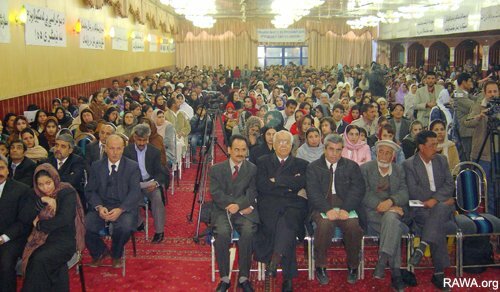 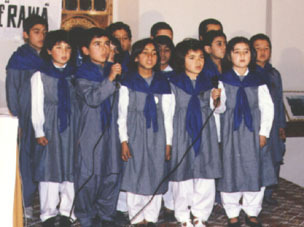 RAWA event in Kabul on the International Women's Day on March 8, 2006. 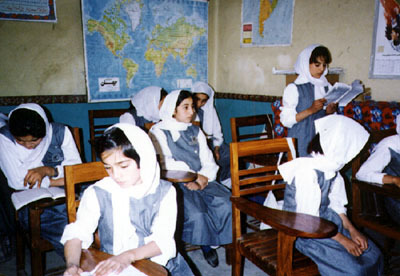 Hundreds of women are organized in literacy courses of RAWA. 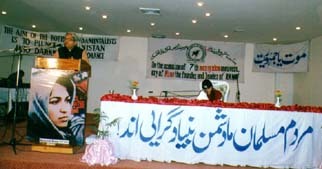 February 4,1994: On the occasion of 7th Martyrdom Anniversary of Meena, Speaker Punjab Assmbly, Mr Hnif Ramy, graced the ceremony and said in his speech, "History will record that Gulbudeen Hekmatyar destroyed Kabul." 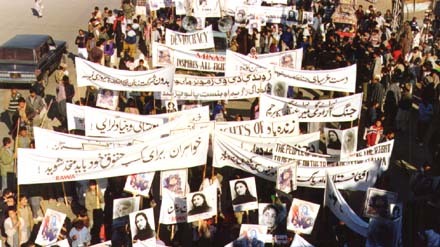 The fundamentalists are the champions of illiteracy and highest incarnations of ignorant arrogance. 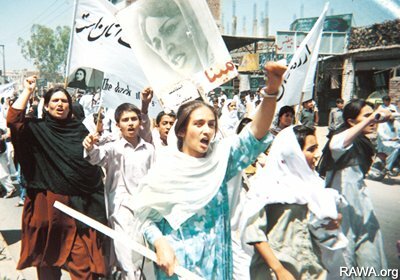 RAWA believes that despite manifold impediments and meager resources, one of its duties is to carry the torch of literacy and knowledge among women in defiance of enlightenment-hating fundamentalists.